Mega Sale! 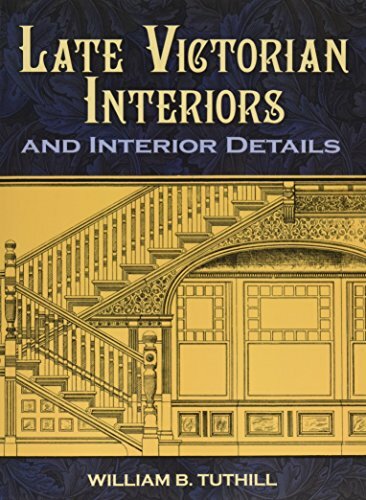 Save 30% on the Late Victorian Interiors and Interior Details (Dover Architecture) by Dover Publications at Book Sellers Union. MPN: Illustrations. Hurry! Limited time offer. Offer valid only while supplies last. The first high-quality reprint of a rare guide, this reproduction of an 1882 publication features fifty-two plates of original interior designs. The first high-quality reprint of a rare guide, this reproduction of an 1882 publication features fifty-two plates of original interior designs. Author William B. Tuthill (1855–1929) is best known as the architect of Carnegie Hall; he also lectured at Columbia University, was a founder of the Architectural League of New York, and served on the Art Commission of Chicago's 1893 Columbian Exposition. His designs are accompanied by those of other prominent American architects, including Gould & Angell, Burnham & Root, Rossiter & Wright, L. B. Wheeler, and Edward Dewson. Tuthill's selections of illustrations include elevations and details of fireplaces, staircases, windows, parlors, libraries, and other interiors of residences, offices, and stores. A practical guide for nineteenth-century architects, carpenters, and builders, this volume remains a fine resource for historians, curators, preservationists, and Victorian home restorers. This edition is enhanced by a selection of advertisements that appeared in the original publication.